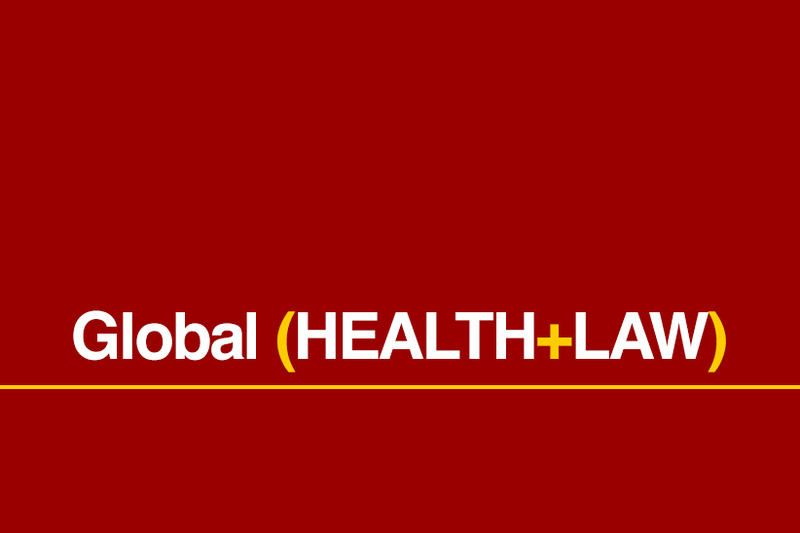 This first session of the Spring 2018 semester of the USC Law & Global Health Collaboration—Jan. 23— focused on the impacts of the Trump Administration’s immigration policies in Los Angeles and across the globe, and concrete research and actions being taken to minimize the harms. Professor Sofia Gruskin, Director, Program on Global Health and Human Rights, began by welcoming participants, acknowledging the sponsorship of the USC Law and Global Health Collaboration and the Immigrant Health Initiative, funded by the Collaboration Fund, her co-moderator, Dr. Baezconde-Garbanati, and introducing the panelists. She emphasized the need to generate a respectful and evidence based dialogue with the ultimate aim of determining the implications of this discussion to support USC faculty and students to set a research agenda going forward. Neils Frenzen, JD, Sydney M. and Audrey M. Irmas Endowed Clinical Professor of Law and Director, Immigrant Clinic, introduced the current legal situation for immigrants. He noted that the legal situation has more to do with a creation of climate of fear than with changes to the letter of the law. He then presented Arizona’s SB 1070 “Support Our Law Enforcement and Safe Neighborhoods Act” anti-immigrant law that was passed in 2010 which requires police to determine the immigration status of someone arrested or detained when there is “reasonable suspicion” they are not in the U.S. legally. He stressed how the Trump Administration is seeking to dismantle the Federal Government and its willingness to create fear and chaos. The intention is to create a series of laws to create immigration attrition through enforcement. For example, landlords will be required to check the immigration status of tenants before renting out their property. These new laws will make life extremely difficult for undocumented immigrants. This is also an attempt to drive undocumented immigrants to leave the country on their own. Professor Frenzen also talked about the Deferred Action for Childhood Arrivals (DACA) and Temporary Protected Status (TPS) programs. He explained that one week prior to the talk, Homeland Security Secretary Kirstjen Nielsen announced the termination of the TPS program. There are 200,000 Salvadorians that have registered for this program since 2001. Many are now married, have children, have US-based businesses, and are being told they should go back to El Salvador. The administration will give these people another 16-17 months to find a way to obtain a green card before facing deportation. Finally, Professor Frenzen talked about the 800,000 people in the DACA program. As put into place by the Trump administration, this program is currently experiencing a “soft ending;” every day there are 100-500 people falling out as their two-year work permits are ending. TPS and DACA recipients will revert from immigrants with legal documents back into the status of illegal immigrants when this occurs. Privileges such as driving, traveling, receiving health care or banking will be taken away, and importantly, they will lose their ability to work in the US. Professor Frenzen says that losing temporary status does not necessarily mean deportation, but it is expected that people will leave the US on their own or will be forced to now live in fear as a ‘shadow population’. He concluded by stating the Trump administration may have the legal authority to end the DACA program and that it’s really just a question of how they will do it. The second speaker, Dr. Michael Cousineau, continued the discussion by addressing the current immigrant population in California. He noted that we have a fairly significant immigration born population in California, pointing to approximately 10.3 million people, approximately 20% of the total California population. Of this number, about 4.8 million are naturalized citizens while 2-2.5 million or 6% are undocumented. The majority of these California residents face high levels of poverty and the various health challenges associated with it. Dr. Cousineau noted that access to health care is limited for this population. 47% of non-citizens are uninsured – compared to 16% of people born in the US. While the Affordable Care Act decreased the uninsured, it did not provide coverage to everyone who needed it. The Medi-Cal option in California enables someone to go to the emergency room and get their visit, but only at an emergency room. Overall, Obamacare did decrease the number of uninsured, but significant barriers still exist for undocumented immigrants to get health care. Dr. Cousineau also explained that 35% of undocumented workers have private insurance because they work in small business that do not offer coverage. According to Dr. Cousineau, undocumented adults have a distinct set of issues. Legislative efforts to expand coverage to adults are more expensive than coverage to children. He then presented on SB75, which provides full scope Medi-Cal for undocumented children in California. Efforts to try to pass laws in California to enroll adults (parents of children of the SB 75 law) into Medi-Cal and to allow adults to enroll into subsidized insurance are ongoing. Counties throughout California have developed their own programs. For example, Los Angeles County created My Health LA to address uninsured and undocumented adults allowing them to buy into California coverage without federal participation. Some California counties have no programs at all. Dr. Cousineau cited concerns that immigrants have about their health care. These are that seeking coverage will hurt them from becoming a citizen one day, fear of deportation, the effect on family members, confusion about eligibility, difficulties in the application process and the language and cultural barriers. In this vein, Dr. Cousineau closed his talk with potential research opportunities, stating that gathering data, such as working with schools to do an ongoing survey with families that have had health insurance and are applying to Medi-Cal, will provide valuable insight and information. His fear like that of the previous speaker is that immigrants will be forced to go into the shadows, and from a public health perspective this can be extremely dangerous. Parveen Parmar, MD, MPH, Chief of the Division of International Emergency Medicine and Associate Professor of Clinical Emergency Medicine at Keck Medical Center of USC, discussed immigration and refugees in a broader perspective. She discussed countries and political situations happening in the countries of origin where immigrants are coming from and what circumstances might be leading them to leave their respective countries. She stated that there are roughly 65.3 million displaced people across the globe. Among the circumstances these people are facing are poor governance, climate change, and inequity among the rich vs poor. Dr. Parmar then posed broad level questions for us to consider, such as “what is the importance of borders?” “What allegiance do we have to borders?” “Do we have more of an allegiance to borders or more of an allegiance to human beings?” Dr. Parmar concluded with her own personal experience in the emergency room, stating that people are avoiding accessing services because they are scared to be picked up by the Immigration and Customs Enforcement (ICE) agency. Dr. Parmar did say that certainly none of us want to be biased and there are two sides to everything, but as a public health practitioner, when it comes to speaking up for patients and advocating for them, there really is only one side. Co-host and moderator Lourdes Baezconde-Garbanati PhD, MPH, Associate Dean for Community Initiatives and Professor of Preventive Medicine moderated the discussion and questions and answer period. She began by stating that the purpose of the panel was to provide a forum for a healthy discussion of the issues surrounding immigration, and wanted to provide an opportunity for all those in attendance, including those who might have opposing views, to feel free to make comments, and ask questions. She stated now more than ever is the time when we need to engage in our democracy. We need to be in leadership positions, regain those checks and balances, and ensure that the values that prevail are reflective of who, we truly are, as a nation. A diverse set of questions were raised by audience members and responded to by the speakers. The session concluded with each speaker offering their suggestions for a future research agenda. Professor Cousineau wished there was more specific data on the undocumented population to propose better arguments towards immigration policy. He concluded that he is most concerned with the young adult immigrant population just joining the workforce. What impact are they having on their families and to the economy here in California? Dr. Parmar conveyed her desire to collaborate closely with the immigrant and undocumented communities to attempt to understand what it is that the healthcare providers in the emergency system can do to make them feel safe. From an advocacy perspective, she suggested that we need to redefine the “tribe,” perceptions of tribalism in our country and remember we are all human beings. Professor Frenzen wrapped up the discussion noting that his clients traditionally use government agencies and libraries to get their information and that an effort is needed to provide and distribute reliable information to undocumented folks to address fears generated because they are afraid to engage with these institutions in the current climate. Closing comments included the need to educate the general population, not to lose hope and become engaged in the system, and become an active participant in the democracy. The Law and Global Collaboration Fund would like to thank Dr. Baezconde-Garbanati, Dr. Cousineau, Professor Frenzen, and Dr. Parmar for their support and engagement on this timely and important work.